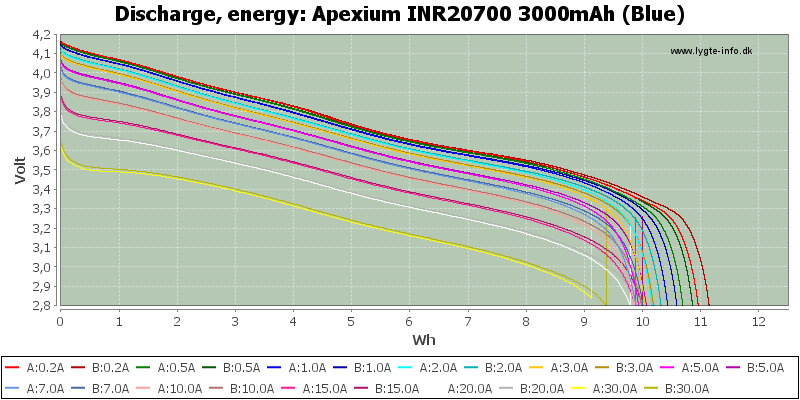 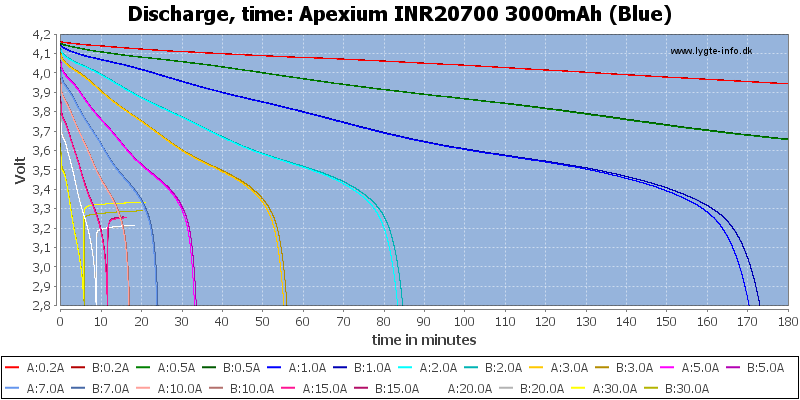 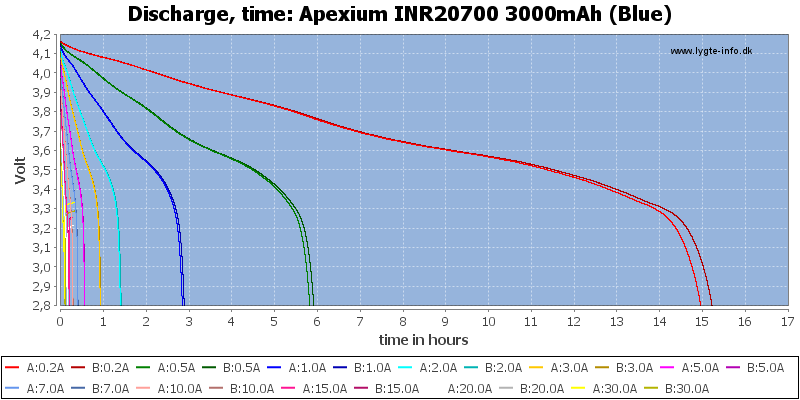 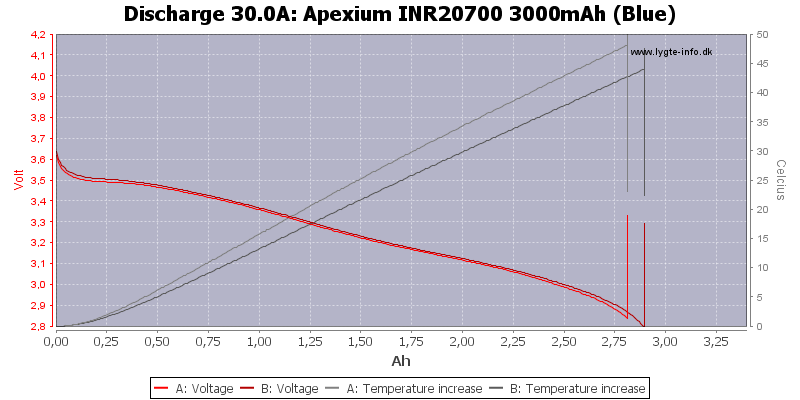 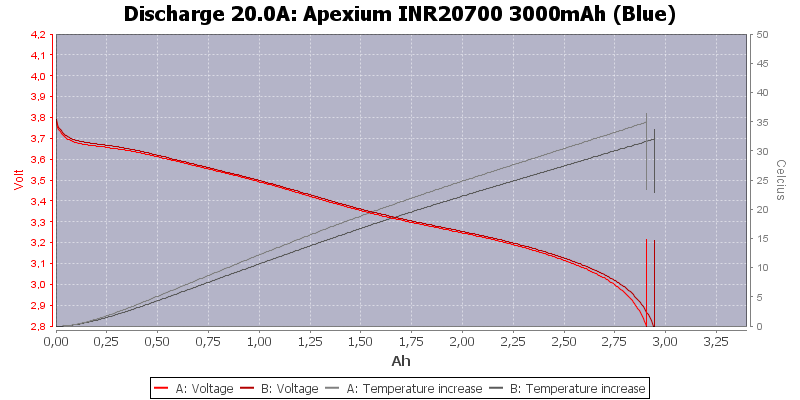 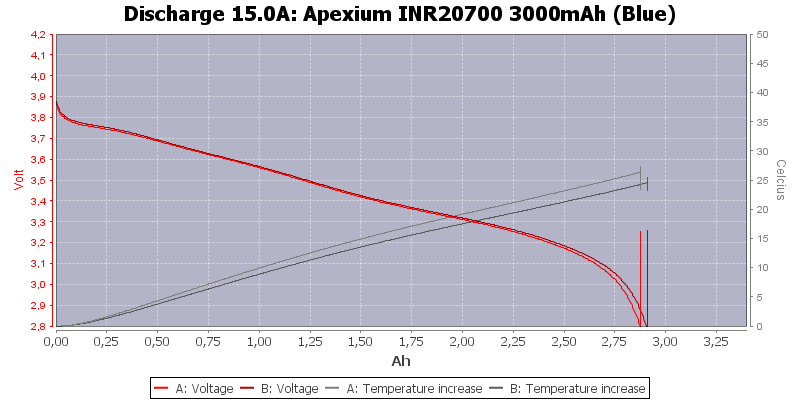 Maximum discharge current: 30A (35A with 80°C cut-off). 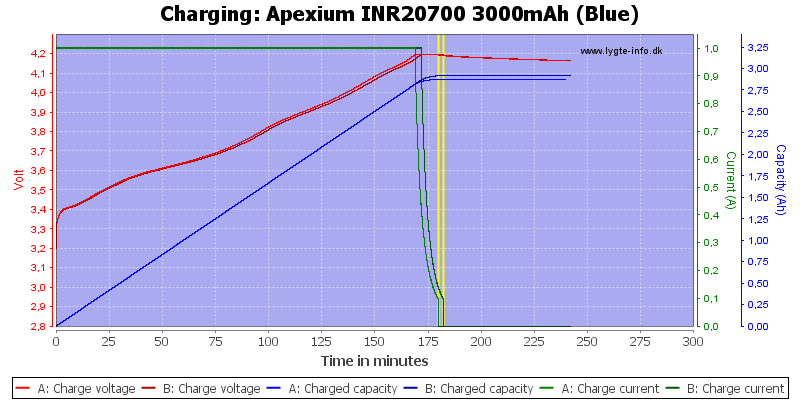 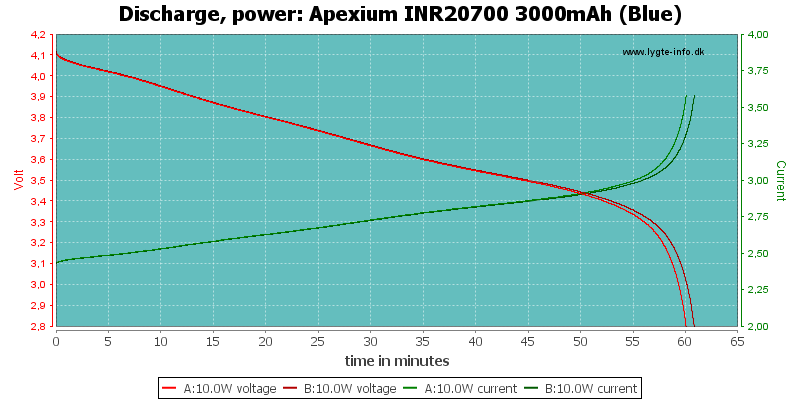 Cycle life: >=1500mAh after 250 cycles at 25A discharge and 0.52A charge. 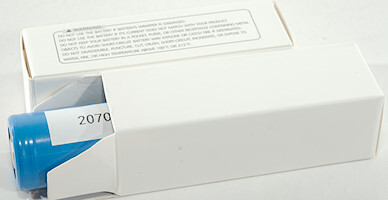 This is a high current cell and I got it before the wrapper was ready. 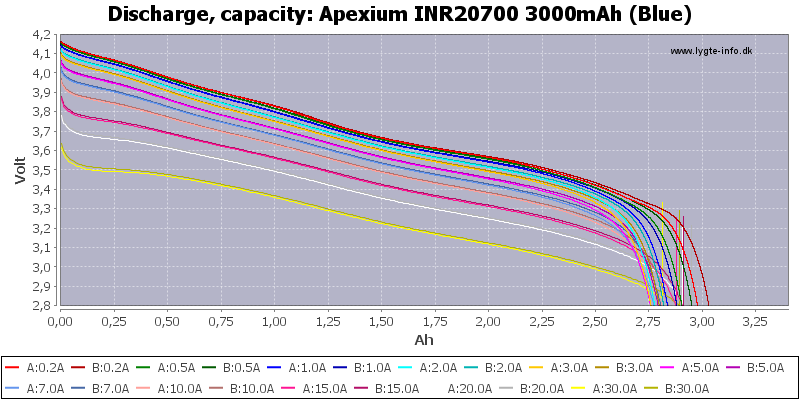 These cells are at the low end of capacity for 20700 cells, but instead they have a fairly good high current performance. 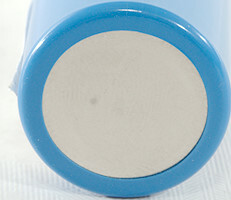 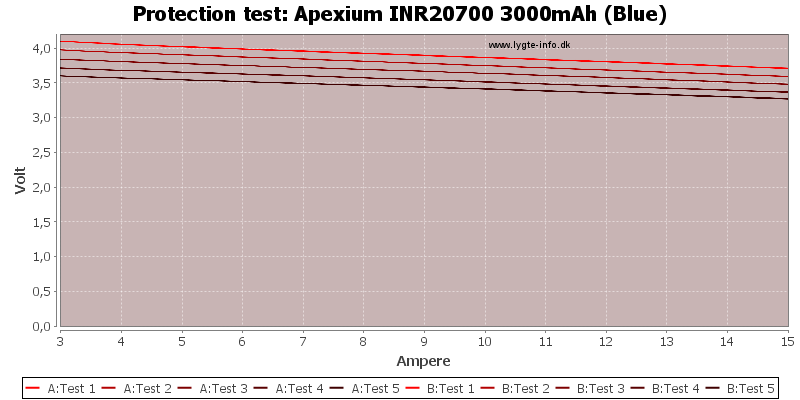 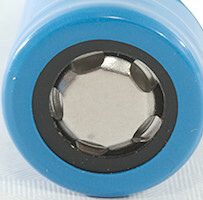 The batteries was supplied by Apexium for review.